First of all, I wanted to thank you guys for taking the time to share all your tips, tricks, and experiences. I’ve been lurking the forums for months, and I feel like I’m constantly learning. I know this is far from a unicorn deal, but it’s a price that I’m happy with and it’s for a car that I love. Even though I just signed the paperwork about a week ago, I’m honestly already excited to see what my next deal will be. Cheers. Nice, do you get CA EV rebates? Also, make sure to join CCA! I was trying to get in to a 330e M-Sport for a payment around there or less and no dealers would play ball. Where did you go for this one? @andyecon I’ll definitely look into that! @skyline31518 I’m sending in my lease agreement and registration to see if SCE will give me the $1k rebate, it’s not on the pre-approved list, but it is on the drop-down when you apply. I’ll keep you guys updated. @Tanik I went to BMW Ontario, it was an hour away… I did all the negotiation through text, and for awhile, I didn’t get anywhere. Finally, I told them what numbers would realistically make me drive down there and sign and in an hour or two, I finally got something reasonable. Good luck! You should get your $1000 I got mine from late January purchase. No issues. Did you sign up for BMWCCA? You paid that much in socal? I know this is far from a unicorn deal, but it’s a price that I’m happy with and it’s for a car that I love. Nice. I just got my registration in the mail today, I hope it’s as painless as yours was. Not yet, but I definitely will! Yes, I really wanted this particular car. If price was my priority, I would’ve went for a loaner but this was what I wanted. Gotta pay to play sometimes. How is this not a bad “deal”? This is about as far as one can get from a unicorn on a car which is significantly discounted everywhere, new and as a loaner. This is effectively $406/month. But yes, if it makes OP happy because it is exactly what he wants so the pricing doesn’t matter that’s fine…just don’t pretend it’s not a bad deal. I wouldn’t say it’s bad. 0.74% pre-tax on any car is a good deal. It may not be as competitive as the other 330e deals from last month, but with dwindling inventory, sometimes you take what you can get. It’s bad for now. i just checked several in CA that were on my list and still are there and cost way less. After April 30, then they can say the deal has disappeared. Until then, it’s there. @Billium For what it’s worth, my payment after tax is $391/month. 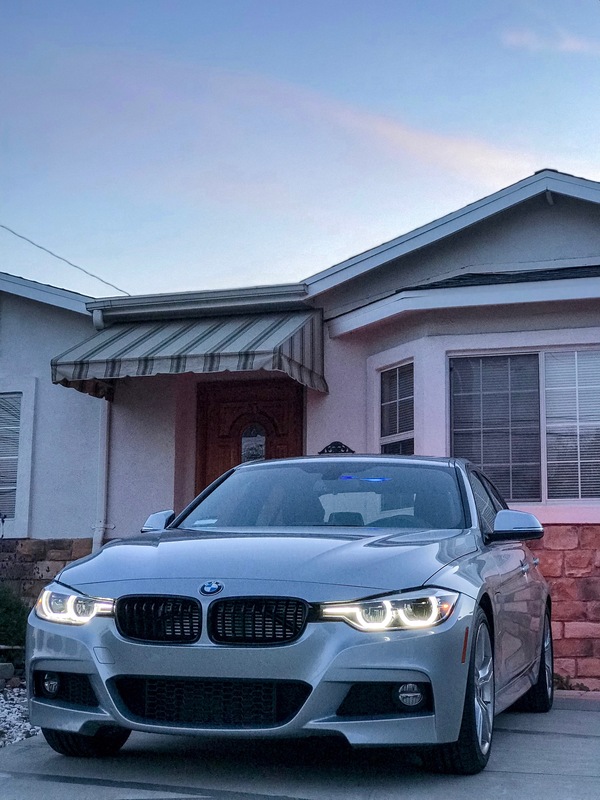 In comparison to the other deals I’ve seen here on a new 330e with similar MSRP, the majority of them are hovering around $300-350 per month “effectively” after tax, but most of those deals include loyalty and/or college grad, both of which I did not have. Also, it seems like most deals required $2k+ DAS and I only paid about half of that for my drive off ($1175). Like I said, I know it’s far from a unicorn deal, but I wanted that car and now I have it. I personally would be miserable paying $180/month for a white 330e w/ beige interior… but I guess good deals and bad deals are all relative. Honestly, I already accepted the fact that I was gonna have to bite the bullet this time around for loyalty on my next lease, and probably my girl’s lease, but that’s okay someone has to lol. Appreciate it! I love it too, the picture is dark and it looks a little blueish, but it’s glacier silver! You’re not including your due at signing. You can easily get under 200 for black on black or white on black. Again for a 54k 2018 330e prior to April 39 you looks at comps and there is no way to claim, in SoCal of all places, that it was a good deal. I’m thinking the difference is this one has M Sport. I don’t personally care for that package but I think generally it’s harder to hack one with it equipped. I don’t really know the 330e since it wasn’t on my list during my search last month (despite the deals I saw on it, the 530e just looked so much more enticing), but I think you’ll definitely be in the $300s effectively if you’re after M Sport. It is 440 after tax including all numbers. It’s a 54K car. Come on man…at some point let’s just call this what it is. What do you mean I’m not including it?